Search our website and you will find that we offer a wide assortment of luxury yachts for charter. 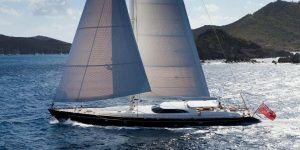 From luxury sailing catamarans, sailing yachts, and motor yachts of various sizes including large superyachts. In addition, there are Power catamarans for charter, which are a great way to enjoy the Exumas and Abacos in the Bahamas, during the spring and summer season. Luxury Yacht Charters presents a collection of scuba yachts for charter in a variety of yachting destinations. Take a look. You will find a yacht and destination that suits your requirements. The choice is yours and your options are endless. A collection of yachts available in the popular charter destinations around the world. Crewed luxury yachts for charter are available in Asia, which includes favorites like Indonesia and Thailand. The year-round charter destination of the Caribbean, including the popular Virgin Islands. As well as St. Vincent and the Grenadines, Grenada and eco-friendly Turks & Caicos. Step back in time with a sailing trip to Greece, choose one of its popular charters areas. Take a lazy cruise along the Amalfi Coast of Italy, visiting Capri, Sorrento, Positano, Ischia, and Naples. The French Riviera from Monaco to St. Tropez is amazing. Corsica, Sardinia, Elba and the Italian Riviera are special options so plan for more than 10 days of chartering. Croatia is one of the most desire chartered destinations with a variety of yachts available to charter. Many will start and end in Croatia, others start or end in Montenegro. 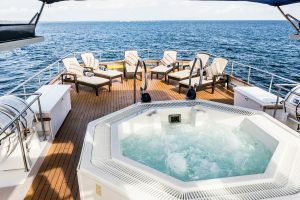 Cruise the Galapagos Islands on your own exclusive yacht with its Naturalist and guide. Allow Luxury Yacht Charters, a division of CKIM Group, to help you plan your luxury yacht charter vacation.